Helping you keep your costs low and your service levels high is our business. high bay - extended height warehouse space (40 ft!). Indoor rail and truck access. Interior bridge cranes (up to 25 ton lifting capacity!). Active rail service through CSX. Secured yard storage with grade-level access. 4000 Square Foot office building. Over 180,000 total square feet on 19.5 acres. If you need "Heavy Duty Logistics Support", review our site and give us a call! Our industrial park has convenient access to 6 major highways allowing you to serve 65% of the nation’s population with one-day truck service. 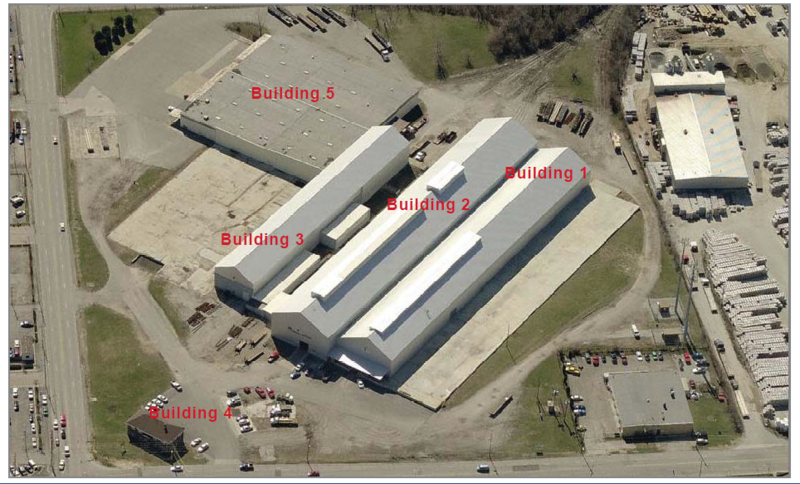 Four separate Indianapolis industrial warehouses on 19.5 acres zoned I-4-U for industrial use. Two large service pads for secured, outdoor storage, operation or flatbed service. Outdoor fenced enclosure for service area. Grade-level, dock height and floor level access. Indoor rail sidings to prevent exposure to the weather. Three interior bridge cranes with lifting capacity from 5-tons to 25-tons. That's what we call "Heavy Duty Logistics Support" ! The Indianapolis Industrial Center allows you to keep all of your customer service options open. Long, and short term leasing options. Facilities that allow you to serve your customers by truck or rail. Value-added and rail reload services available. Our customers tend to require "Heavy Duty Logistics Support" to successfully achieve your supply goals. Contact us to learn more about the options available to you! #1. 65% of US population with in 1 day delivery! #2. Easy access to: I-65, 69, 70, 74, 465, US 31! #3. Available to CSX rail service! #4. Flexible logistics facilities for every need! #5. Ideal for steel warehousing, building products and processing! Facility: 3000 S. Shelby St.